This is delicious! and very easy to make. Just need a good mixer or a blender. Watch this video clip I did. Excuse me for the upside down effect..was holding the iphone upside down without realising it..! 1. Add cheese and icing sugar into the mixer bowl to whip. This is to break it down into a smoother texture. 2. Add fruit into whipping cream and pour straight into the mixer bowl and continue to whisk till its evenly mixed. * I am using a KitchenAid Mixer. On Speed 3. For 3 mins maximum. 3. 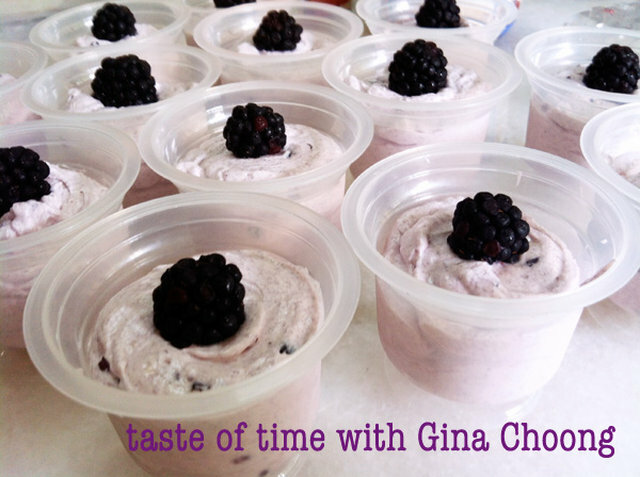 Turn off the mixer and pour contents into a mousse cup. 4. Chill for 1 hour or so, serve chilled. 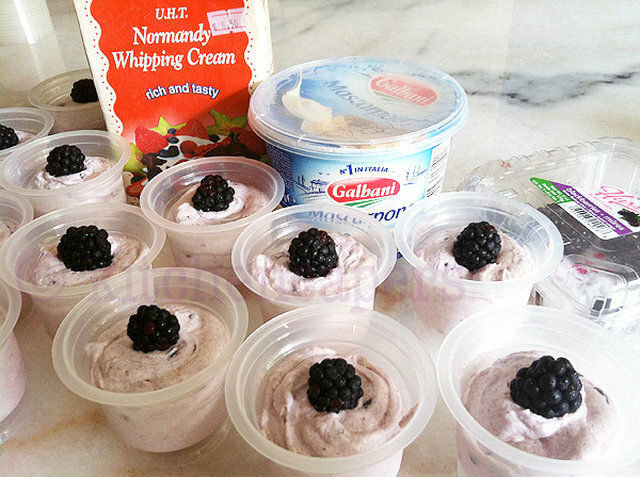 *to make this more presentable, I piped the mousse into the cup and top it up with one fresh blackberry.